Today’s low-slope roofs offer an economical and sustainable platform for renewable solar energy in the form of photovoltaic (PV) systems. However, some roof systems may lack the durability and strength to remain sustainable over the long term. Standards organization ASTM International has launched its Leadership Connection initiative, offering its members access to resources and information on educational opportunities. The program emphasizes the benefits of ASTM membership in terms of opportunities available for career growth. 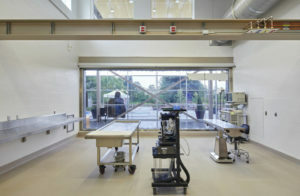 The new health and research centre at the Toronto Zoo features interpretive displays and picture windows allowing visitors to view treatment and laboratory spaces. 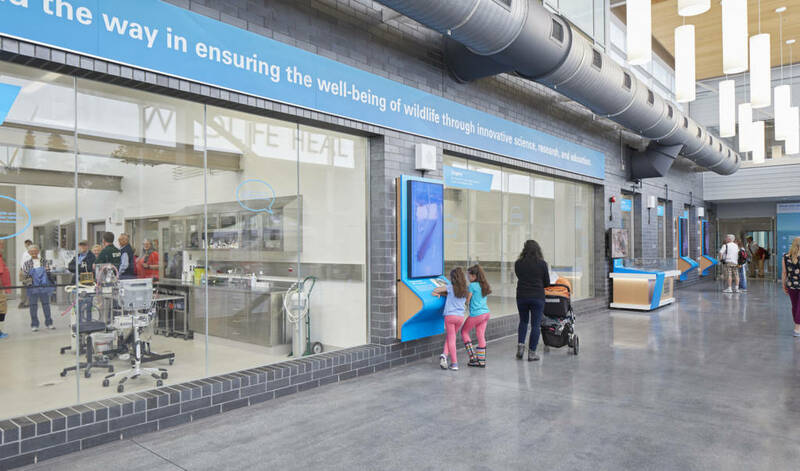 The Toronto Zoo has enhanced its offerings for both animals and visitors with the opening of a new Wildlife Health Centre. Intended to improve awareness of animal health and conservation, the two-storey infill features picture window—Windows of Wildlife science (WOWS) Public Viewing Gallery—allowing a visual connection between visitors and the animals being treated. From a front-of-house viewing gallery, zoo visitors can view diagnostic imaging, treatment, surgery, clinical lab, and endocrinology lab spaces. Displays corresponding to each space are located beside the windows. “We are very excited and proud to be able to provide our guests with the opportunity to see firsthand some of this great work that has historically taken place behind the scenes,” said Chris Dutton, the zoo’s head of veterinary services. The viewing gallery was not the only place views were prioritized. The centre also incorporates clerestorey windows to ensure daylight reaches its patients, and offers access to an outdoor pen. Second-floor labs and administrative rooms also have visibility of ground-floor treatment areas. Sustainability is also a focus, with a vegetated roof, insulated foundation walls, low-flow fixtures, light-emitting diode (LED) lighting, and heat recovery systems. The facility as a whole is designed to be responsive to the widely varying needs of the more than 460 species that could come through for treatment. For instance, it features a rail and hoist system mounted on the ceiling, to be used to manoeuvre heavier patients. Other special requirements are considered as well. “The animal care areas require 100 per cent fresh air supply with no return air so as not to circulate contaminants through ventilation,” said Jon Soules, principal with Diamond Schmitt Architects, which designed the facility in partnership with DesignLevel. Diagnostic imaging, treatment, surgery, clinical lab, and endocrinology lab spaces are visible through the new facility’s windows. A ventilation system capable of handling this high load was selected for the facility, with particular focus on providing high air change and filtration rates for surgical and treatment spaces. Any materials and finishes used for the space were selected with an eye to durability and hygiene. “Creating a state-of-the-art animal healthcare facility is at the heart of our expanded vision and will position the Toronto Zoo as a world leader in wildlife care and conservation,” said John Tracogna, the zoo’s CEO.